Mili Alekseyevich Balakirev was the influential leader of the Russian ‘Mighty Handful’ of composers that set the standard by which others were judged. Revealing both Balakirev’s admiration of Chopin and love of music with a deeply Russian character, this programme ranges widely from new discoveries such as the early Nocturne in G sharp minor to one of his last pieces, the heroic Seventh Waltz. There are also beautifully simple gems such as the Chant du Pêcheur and works of technical brilliance such as the Valse de concert and the magnificent and visionary Second Nocturne. 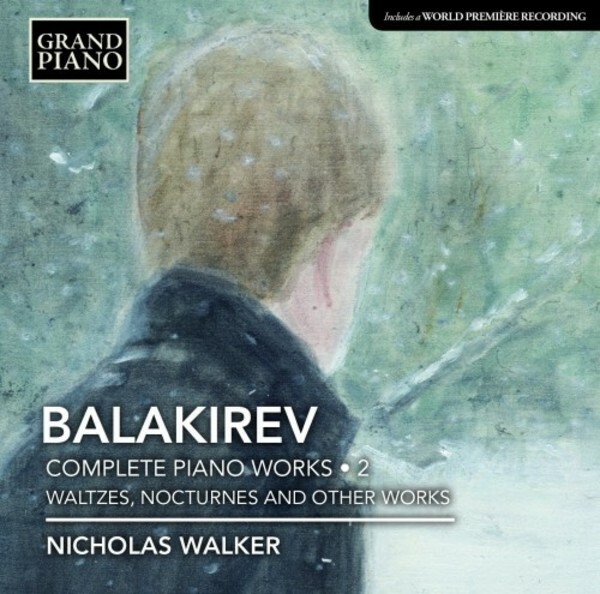 Nicholas Walker studied at the Royal Academy of Music and the Moscow Conservatoire. Winner of the first Newport International Piano competition, he has performed with major British Orchestras, given recitals worldwide, and recorded for the BBC, BMG Arte Nova, ASV, Chandos and Danacord labels. He is best known for championing the neglected leader of ‘The Mighty Handful’, Mili Alekseyevich Balakirev. In 2010 he organized the Balakirev Centenary concerts in London. He also teaches at the Royal Academy of Music.